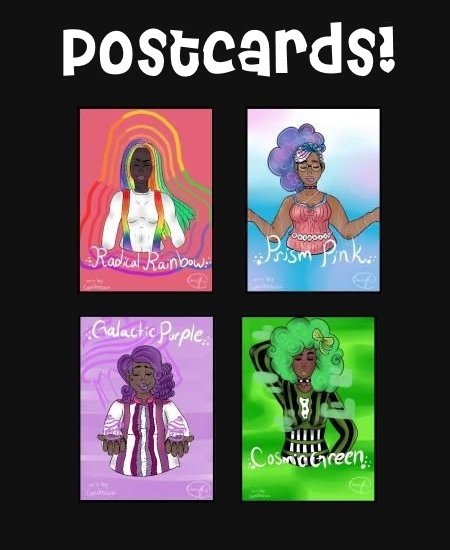 For those of you who like your magic to be a touch bit smaller, there are now postcards you can collect of each of the girls with this fun, stylish art by cosmicheroart. Each card is $3, or you can get the entire set at a discount price. Click on the image below to get to the purchase link.